Saluting those who have served our Country! Home / Executive / Saluting those who have served our Country! In this week’s blog I want to turn the mirror around and focus on some of you – our veterans working at Pierce County. You may not realize it but we have about 100 employees who wore, or are wearing, the uniform. We asked a few of them about how they chose the branch of service they joined and how they brought the lessons they learned in the military into their work at the county. I chose to join the Air Force because other opportunities for me were limited. I came from a family of 6 children. College was not an option due to cost. My uncles were part of WWII and the Korean War. They were an influence. Initially I wanted to join the US Coast Guard. I went to the Coast Guard Recruiter’s office and they were not in. The Air Force recruiter smartly asked if they could be of assistance. I took the bait and embarked on a 25-year journey. I learned that when the going gets tough that everyone pitched. No one needed to tell anyone what to do. They just did it! I also learned through the best leaders take care of your people. I had two great leaders during my career that illuminated the possibility of education. Because of their wisdom and guidance I was able to achieve a Master’s degree during my enlisted career. Being a veteran has made me more self-aware of country and community. It has impacted me that standing tall with hand over heart is symbolic of what a veteran represents and honors those from the past, future and present that have served. Being a veteran has also helped me in my career path. I was one of fifty military men chosen by then Jack Kemp (HUD Secretary) and Secretary Sullivan (Health and Human Services) as one of 50 change agents for the field of public housing. More info here. I was raised in a military community. My father was a career officer and while he left our family early in my life we continued to reside in a military community. 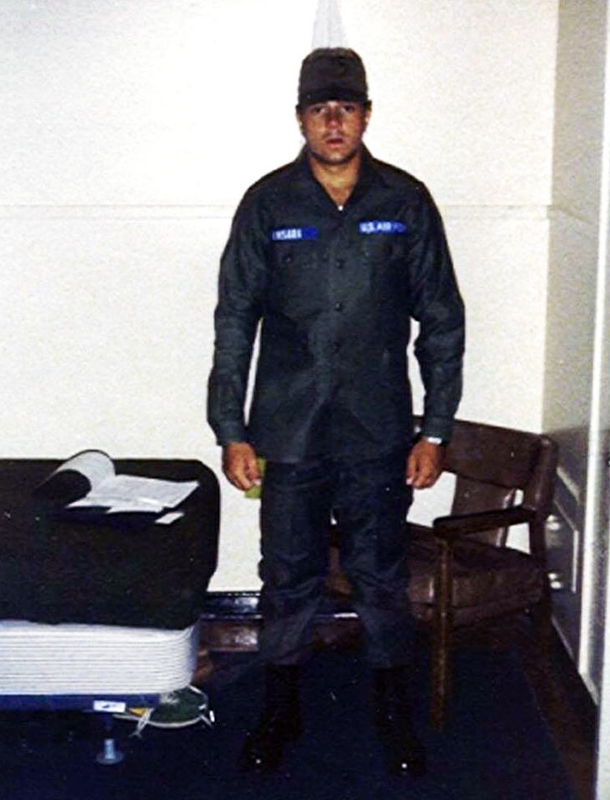 I was exposed to the military as an institution early in my life and it became part of my life. The Army offered me education assistance through its ROTC program. The most valuable thing I learned was the selflessness of our great young American men and women, most in their late teens and early twenties. They come from middle America and often lower social economic circumstances. Yet, they give their all in taking care of one another. The greatest single privilege I’ve had in my life is the privilege of leading American soldiers. The core values for soldiers and military members in general are integrity, honor, duty, selfless service and taking care of those who work for and with you. 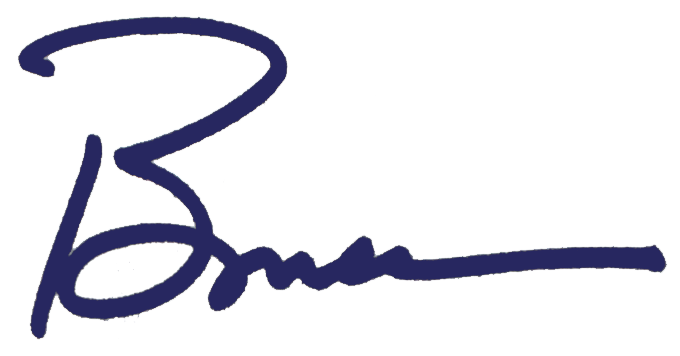 These core values are steeped in principles of the Rule of Law. I attempt to employ them daily. 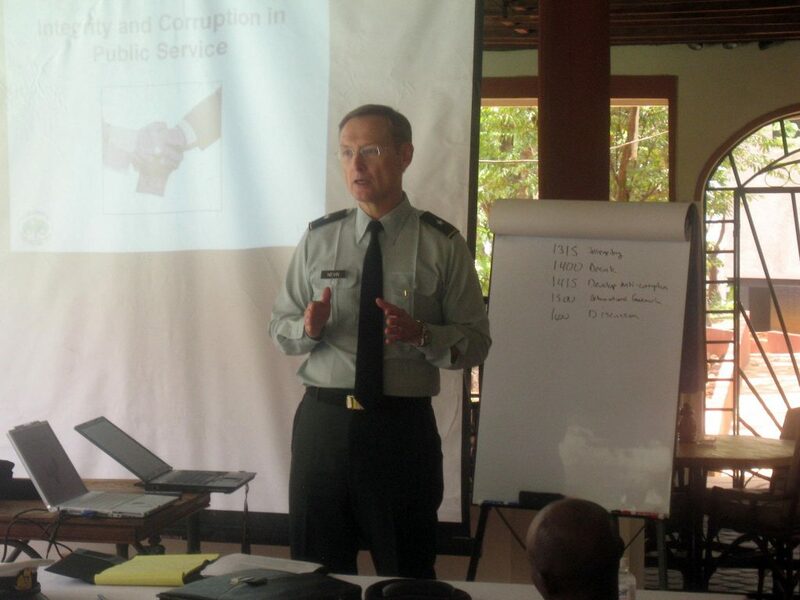 As a General Officer I was engaged in strategic planning and learned skills that I continue to apply here at the court. 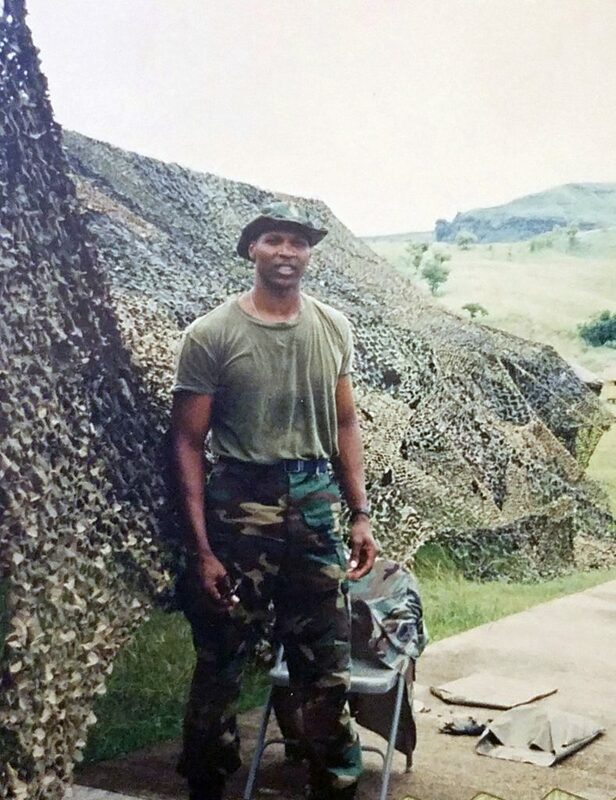 I served 33 years of both active and reserve service, with my last duty as the Commander of the Army Reserve Legal Command. So, depending on how you calculate it, I’ve been a Vet a much shorter time than I was a soldier. It has impacted me most by an awareness of the plight of veterans in our community and nationwide. They gave us their all. We owe them a lot. I joined the military when I was 20 years old, two year after I graduated from Stadium High, and I was not too sure what to do with myself. I had an inkling that I might want to work in law enforcement, but I felt I did not have enough life experience to work in that field, so I walked into the recruiting offices near the Tacoma Mall and signed up with the Marines after talking to all 4 branch recruiters. When I went home, my father’s response was “You want to be a Jarhead! ?” I said yup! And off to boot camp I went in April 1995. The Marines hit home with “The Few, The Proud” slogan. Being part of the toughest branch to be a part of was the challenge I needed in my life; to prove to myself I could DO something and be proud of it. I learned to be sure of oneself and have the fortitude to tackle any assigned job, no matter how great. As simple as that may sound, that has set me up for success for the rest of my life. For what I do as a Field Training Officer and as a Sheriff’s Honor Guardsmen, keeping a sharp appearance has set me apart from others. That one simple skill, keeping a pressed uniform. I was once told “If you look like you know what you are doing, then people think you know what you are doing and that’s half the battle.” Of course carrying on past that motto is to actually know your job also. 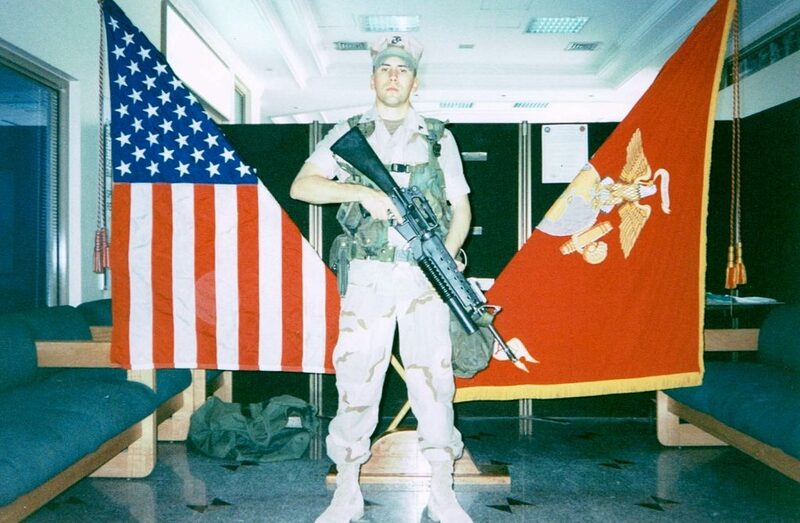 I also look at the world in a different way, with my time in the Middle East (Pre-2001). Unless you have seen what people from other countries live like, and the freedoms we have here as Americans, I believe citizens take for granted how well we have it here in the United States. And for that one bit of knowledge, I am grateful for my time serving in the military. I was 17 when I hit a utility pole and totaled my car. The pole snapped in half and I had to pay for that and the car. I couldn’t afford it and looked into military service. The Army pursued me the most, and they won! The most valuable thing I learned while on active duty was what I am personally capable of, which I would have never otherwise have known. The skills and experience from my military service I bring into the work place are integrity and initiative. Being a veteran has impacted my life in more ways than I can ever explain in writing. It increased my self-worth, taught me about myself, taught me about communicating with others whether they were of a similar rank or higher or lower, and taught me structure. It pretty much backed up everything my parents had said and done while raising me. I chose the Navy because my grandfather served in the Navy. By the time I finished high school, I wasn’t too excited to sit behind a desk for another four years. The Navy seemed like as good of an idea as any others. I bring the skills and experiences I had in teamwork to my work at the County. In terms of the impact my military service had on my life, more than anything, probably just having a slightly different perspective of America. Being in the military, you get to be stationed with a lot of different people, from all over, from all different walks of life and get to learn what they’re all about. Joining the military was a way for me to get out of a small country town in Texas. I chose to join the Air Force because it had planes and I knew planes could get me the furthest from that little country town possible. While on active duty I learned that nothing, absolutely nothing, significant gets accomplished without teamwork. The skill that has served me the most is to take the time to develop a process and make sure every team member understands the process. For me and my family being a veteran has been my greatest joy and my greatest sorrow. We (the McVea family) are truly a military family. I am retired Air Force, my wife Saudi is on her 35th year in the Air Force stationed at McChord Air Force Base, my daughter Paige is in the Army stationed at Fort Bliss Army Post in El Paso, Texas. My oldest son was in the Army stationed at Fort Bragg, NC. At one point during the war in Iraq, I was a defense contractor at Camp Victory in Iraq, my wife was at Camp Basra in Iraq and my son was at Camp Speicher in Iraq. All three of us were there at the same time, all the while my daughter was living the good life stationed at Okinawa, Japan. The joy of being a veteran is: one, it took me a long way away from that small country town. Two, I had some great assignments and met some fantastic people, some who are dear friends to this day. Being a veteran has shown me that the old saying “the world is truly a small place” is absolutely true. The sorrow of being a veteran: November 11, 1990 (Veteran’s Day), at the age of 33 with a wife 6 months pregnant and a daughter 3 years old, I was injured and the injury left me completely paralyzed from the neck down. Fortunately, with great care and dedication from some super VA hospital doctors, nurses and physical therapist I was able to walk and function and re-train and become (what I believe) to be a contributing member of society again. The sorrow of being a veteran: my oldest son passed just over a month ago. He suffered from the horrors of war. We as collective often forget or most not aware that in every war, there is two wars for every veteran. The actual war that makes you alert and hyped every day as you do your job and live the war, but there is a second war. The war “after” the war. The mental war that all veterans fight. Some manage to acquire skills that help them manage that mental war and other succumb to horrors it. My son succumbed to it. However, if you can’t tell, I am a proud father, he fought both wars with everything he had. So Veterans’ Day for the McVea family is deeply personal to us, because we are not just bound together by family love, but we are bound together by the very up front and in our face, joy and sorrow of what it means to serve your county. Yes, with all is said and done, joining the Air Force was the best decision I ever made. 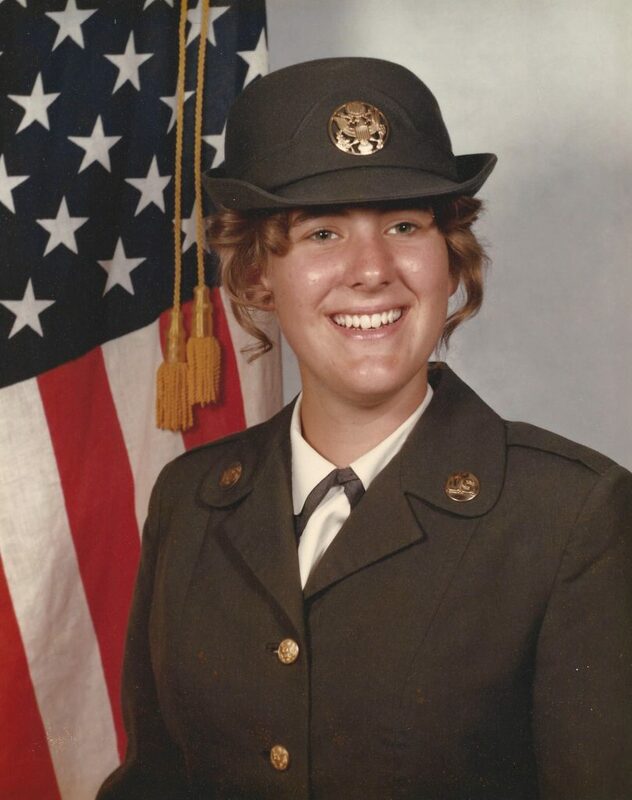 There’s not much more I can add to the poignant memories shared by our colleagues except to thank them – and the many other veterans at Pierce County – for their dedication to their country and for setting a great example for all of us at work. I guess I would be remiss if I didn’t throw one of my old Navy photos into the mix. In this photo I am receiving my promotion to Lieutenant Junior Grade while deployed to Guam. I was fortunate to be able to graduate from the U.S. 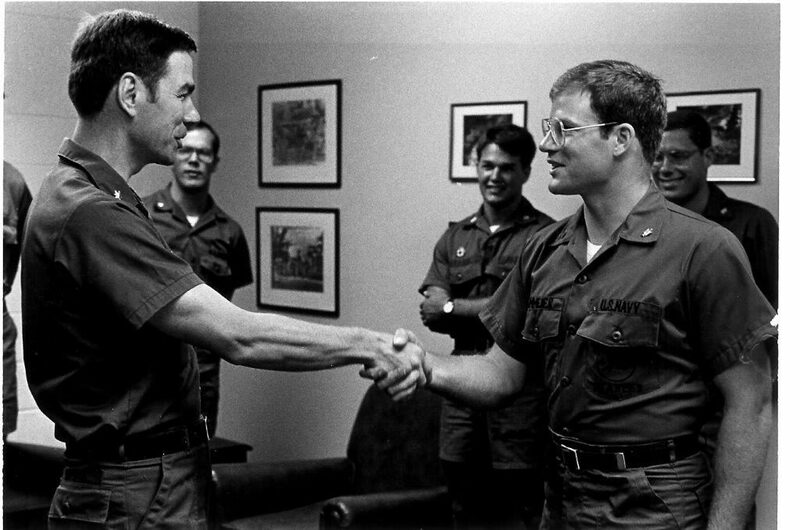 Naval Academy in 1983. To attend an institution, whose mission is to develop leaders with a focus on integrity and honor, was critical to making me who I am today. I am returning to Annapolis to celebrate Veterans’ Day this weekend. I will be staying with my Naval Academy roommate and joining our classmates cheering for Navy football. There will be many sea stories shared and recollections of shipmates we have lost over the years. You can see the full slideshow of photos submitted by our County veterans here. Thanks for reading, enjoy your day off and go thank a veteran!